As I watch the Olympics spectacle unfold, I am in deep awe about what motivates athletes to practice, day in and day out for years. All are trying to achieve the pinnacle of their sport. Only one athlete gets the gold medal. So the chances of getting that medal are better than winning the lottery, but the opportunity costs are really high. Look at what they have to give up to get there. When everyone else is sleeping, they must be out pounding the pavement and pushing the weights. When everyone else is ordering fries with that, they whip out their protein green drink and talk about their body fat percentage. All that self-denial for the chance at getting that gold medal? Or is there something deeper driving those athletes? I ask this question to our business owner clients. When you started this company, what was your exit plan? Did you expect you would sell one day and use the proceeds to fund your retirement? Well, this question brings up all kinds of mixed feelings. On the one hand, they had hoped to sell one day. On the other hand, the idea of retirement is like eating extra fries. It leaves a queasy feeling in the gut of many business owners. I’m not going to sit around all day or play golf for the rest of my life! And with that last image turning in their stomachs, all motivation to sell one day evaporates along with the opportunity to be rewarded for all those years of self-denial. When everyone else leaves the office behind, most business owners carry the burden of running their company distracting them all weekend. When family events clash with business commitments, the business owner is back at the office talking about problems and fixing the crisis of the day. The athlete may one day win the gold medal in return for all that self-sacrifice. 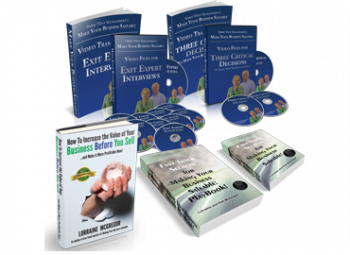 What will you, the business owner, win in return for all of your self-sacrifice? Unfortunately, without a powerful, motivating plan for their own next act after the sale of their business, there will be no gold at the end of the road for many business owners. Having asked hundreds of business owners about what they want as a next act, many can’t answer this question without thinking about what they don’t want. And there is a big list. That’s their fear and doubt talking. Having dealt with problems day in and day out, it’s really hard for owners to step outside of that mindset when it comes to thinking about their own future. And there’s the rub. You can’t get to what you really want unless you build a plan to get there. And then focus on it every day like athletes and business owners do. 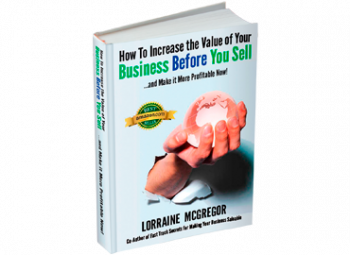 If you want to be able to sell your company one day for two or even three times what its worth today, you have to start now to make sure it is attractive to buyers. 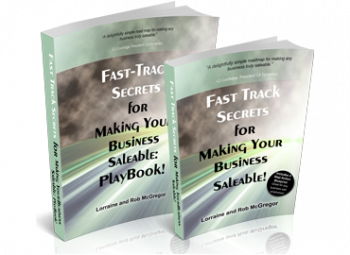 Given that only 10% of owners who attempt to sell their companies get a deal done, you have to learn how to make your company saleable. A saleable company is not the same as having a succession plan. And to find the reason, beyond the money, that will get you through the next two years to make it saleable, you have to think about who you want to be in your next act. What will make your heart sing, feel fulfilled, active in your community, making a difference and still being a vibrant and vital part of life? Motivation is very personal. Money and fame seem to be what everyone craves. But when you look deep into what really drives people to take the lonely road to the top of their chosen mountain, money and fame are much lower on the list. Money and fame don’t get you true, lasting personal fulfillment. The wealthy and famous in our world are no happier than the rest of us. They live with the same foibles, self-doubt and difficult decisions that we all struggle with. Real motivation comes from an internal drum, not a need to be externally acknowledged by others. To make your life matter, to feel alive, to feel like you are making a difference is truly fulfilling. To find your motivation, you have to find your do want. Make a date with yourself and the people who love you to go explore what’s really important to you. Envision yourself at the Olympics, serving as a mentor, starting a new business, traveling the world, writing a book, starting a band, forging something new that has meaning for you. Start. Boldness has genius, power and magic in it. You are already bold if you own a company. Now you need to add your genius to find your power and magic in your next act.